A little-known fact of Milwaukee history and one that would be extraordinarily well-known had it been successful, is that of the assassination attempt on Theodore Roosevelt here on October 14, 1912. This near calamity happened when Roosevelt was in town campaigning on the Progressive, or Bull Moose party, ticket, seeking to regain the top office again after a four-year hiatus. He stopped for the afternoon at the Hotel Gilpatrick, and after dining with local dignitaries, readied himself to leave for the Milwaukee Auditorium (now the Milwaukee Theatre) to give a campaign speech. As he was getting into his vehicle, Roosevelt paused to turn and wave goodbye to well-wishers. Unfortunately, this moment cleared the way for would-be assassin, John Schrank, to take the shot he had been plotting for more than three weeks as he followed Roosevelt's campaign across eight states. Schrank fired his powerful .38 caliber revolver from close range, hitting Roosevelt in the chest. Schrank was immediately detained and Roosevelt's car left. But it was supposedly several moments before Roosevelt fully comprehended that he had been hit. The tenacious Roosevelt insisted, however, on continuing to his speech. It could be that he felt he owed the speech its day because it was the thick manuscript, folded in his breast pocket along with a metal glasses case, that absorbed most of the bullet's force. 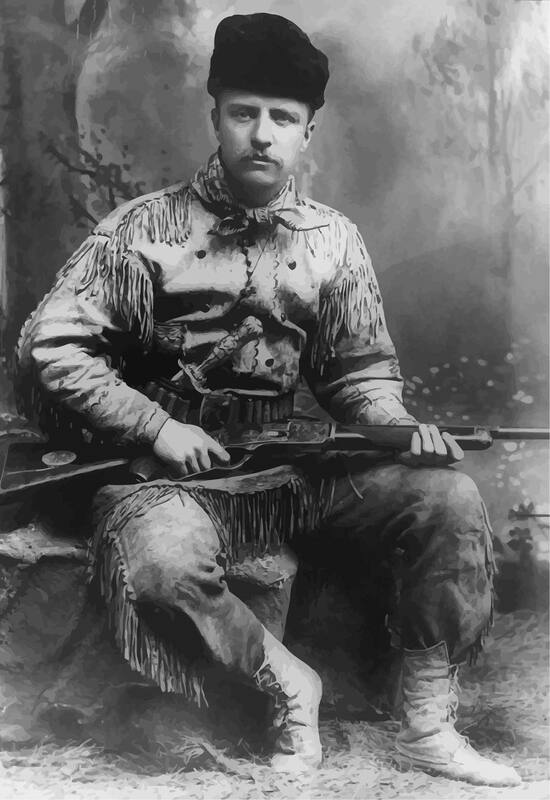 As he entered the Milwaukee Auditorium, Roosevelt announced to the stunned audience that he had been shot, proclaiming: "It takes more than that to kill a Bull Moose!" He then proceeded to speak for 80 minutes before reluctantly going to a Milwaukee hospital for treatment. Because the bullet posed no threat to internal organs, doctors decided to leave the bullet where it was. Roosevelt carried the bullet inside him for the rest of his life. The Hotel Gilpatrick is long gone, and the Hyatt Regency Milwaukee has taken its place. But the new hotel still honors this historic spot with a plaque located inside the lobby. Theodore Roosevelt was the 26th President of the United States. He became president on September 14, 1901, when President McKinley died after being shot on September 6, 1901. At just 42 years old, he was the youngest man ever to become president. In 1904, he was chosen as the Republican nominee and went on to a second term in office.